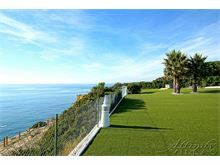 Chy An Mor is a stunning property offering magnificent views of the Atlantic Ocean from its privileged cliff top location. 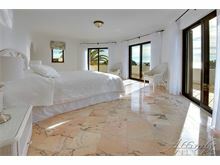 Situated near the very popular town of Carvoeiro, between Centianes beach and Rocha Brava, it is very rare to find a front line villa of this size available on the rental market. 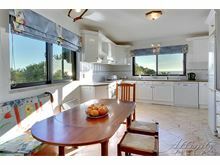 The substantial property is set in private grounds, complete with an over-sized swimming pool, covered outdoor dining area, hot tub and garden that leads right up to the cliff edge, which is gated with private access to the cliff path walk that runs along the cliff tops to Centianes beach. The villa itself is set over two floors with both living and sleeping accommodation on both floors to maximise the breathtaking setting, providing six bedrooms, 5 with en suites and one with a separate shower room and living rooms on both the ground and first floor with terracing and balconies overlooking pool and grounds and the uninterrupted sea views. Approximately 800m from the nearest beach, 500m from the nearest shop and restaurant, Carvoeiro town centre is 2kms away. Double front doors gives access to the hallway on the first floor with one twin bedroom, separate shower room and corridor leading to a twin bedroom with en suite bathroom and master double bedroom with en suite bathroom and a second en suite shower room and separate dressing area and with French doors to the balcony terrace with steps down to the pool. 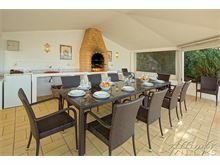 A large living room, bar area with French windows leading on to a covered sun room, separate dining area and first of two kitchens, this is the smaller of the two and is equipped with fridge/freezer, electric hob, dishwasher, microwave and breakfast table and access to and outdoor breakfast dining area and steps down to the pool and barbecue terrace. The main hall leads down to the lower level with large modern kitchen with breakfast area and access to the pool terrace, second living room, 1 twin bedroom with en suite shower room and doors to the pool terrace, and two further double bedrooms with en suite bathrooms. Maid service 2 times per week. Air conditioning available throughout. 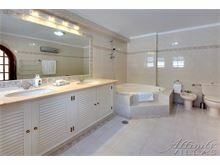 WiFi and hot tub are available at additional charge, if required. Beautiful location, stunning view. Fantastic outdoor space. Affinity Villas provide an unique experience for a holiday getaway. 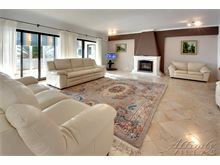 We stayed at Chy An Mor Villa and the outside and indoor space was perfect for 12 adults. The villa Manager was so helpful, and the housemaid was lovely. 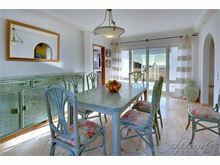 I would recommend this Villa to friends and family, and also recommend Affinity Villas highly as they have been extremely helpful. Beautiful villa with all the amenities - big kitchen, bbq area, awesome pool and turf area for a small football match amongst friends. 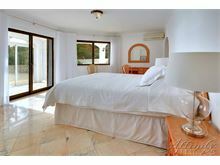 The location is fantastic - a short drive to the famous Benagil caves and beaches. 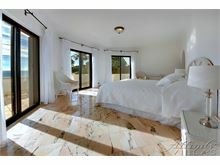 Bonus with the property is access to a lovely hiking trial right off the property with gorgeous views of the ocean. 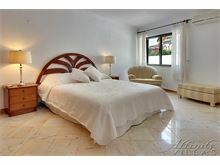 The Villa was truly exceptional and met all of the needs and expectations of my family. 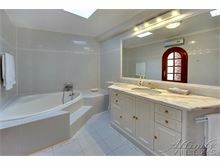 Extremely spacious interior with immaculate cleanliness and comfort. The pool was the star feature with everyone and particularly my two 9 year old grandchildren. Personally, I also enjoyed the opportunity to walk along the sea cliffs and to take in the fantastic views. Easy walking distance to local restaurants and shop for simple every day needs with two large supermarkets within 15 minutes drive. 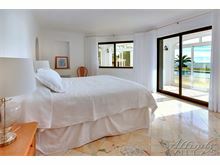 The scenery from the property was simply amazing with the open sea in full view. The hot tub experience proved very popular followed by a swim in the large pool. We experienced the most favourable weather allowing everyone to enjoy the most fantastic holiday. Definitely in my plans for future visits. 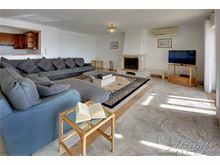 The villa is very spacious and extremely comfortable. We stayed as a group of twelve to celebrate my wife's birthday and it was the perfect place for the celebrations. The location is perfect and the views are fabulous. 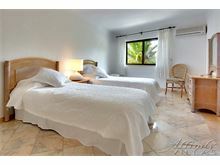 We know the area very well so had a car to be able to get to the best beaches and restaurants. Outside space and views are amazing. Chy An Mor is the most fabulous large villa. Even better than we had expected for our family of twelve over three generations. An opportunity for the grandchildren from England to bond with the grandchildern from Canada. We absolutely loved it!! A little piece of paradise. We went with a group of friends and children and all involved fell in love with the villa. The outdoor space is spectacular with views of the sea, outdoor dining, an excellent pool and a hot tub in which to star gaze into the early hours of the morning. I would highly recommend this villa. 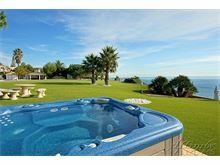 This Villa offers great space for privacy of a large group, and has something for everyone from the pool, hot tub and extensive gardens to the spacious break out areas within the Villa. 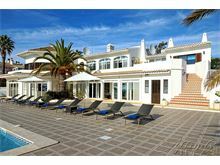 The location is ideal for exploring the Algarve, and the views from the poolside are stunning. Already booked again !!! We stayed in the most beautiful Villa in Carvoeiro. Definitely recommend Affinity Villas. We have just returned from a wonderful family holiday in the most luxurious villa. Everything was excellent and we were amazed that everything had been thought of. The maid was lovely and worked so hard ! We are already missing the beautiful pool and views and will definitely be booking with Affinity Villas again. Chy An Mor is an amazing place with something for everyone and plenty of space if anyone needs a little quiet time. Our families favourite retreat and have booked again!! 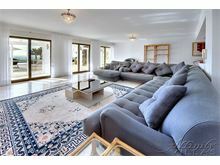 We have been renting High-End Villas around the Algarve for over 20 years and can say although this is the first time using Affinity Villas it was the most pleasant of them all. There are eight family members in our party and all agree this was the most well laid out Villa of them all. It's a great family Villa. When you look online or in a brochure you always think that the Villa will never be as good or as nice when you get there. But this was far better then we could have imagined. Affinity Villas have nailed this business and offer a perfect product. Even the Car Hire we booked through them was spot on and no hassle what so ever. All eight us agree Affinity Villas made the experience from start to finish First Class. Thank you. 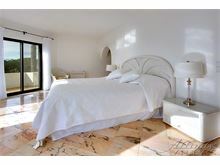 Chy An Mor is a beautiful villa in an absolutely stunning location overlooking the sea. 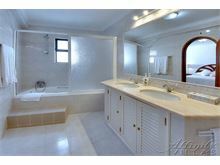 The villa itself is huge with all of the rooms a good size and well spaced out. We travelled in a party of 9 adults and never felt cramped. The gardens are amazing and having the hot tub was a real treat. 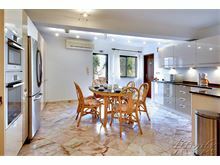 I would highly recommend this villa, particularly if you are looking for a peaceful location which is also in walking distance of shops and restaurants. 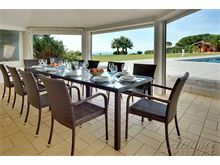 The location was exceptional, looking out over the sea was wonderful. 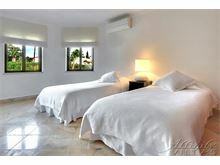 The villa was amazing, had everything you would need, maid service very good and discreet. The house manger was very helpful. 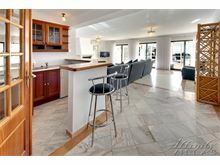 What made it so good was the outside space, pool and kitchen, second to none. Everything was very clean as you expect. I would totally recommend anyone to stay here, best villa I've been to!! Fantastic Villa & views loved every minute. Amazing views and stunning location . Excellent villa in a perfect location. The villa could benefit from some maintenance. 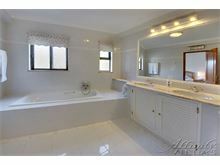 Beautiful house with good facilities. The pool was magnificent. Excellent for family holidays. 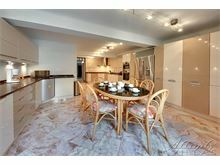 Lovely quiet location with easy access to shops and restaurants.